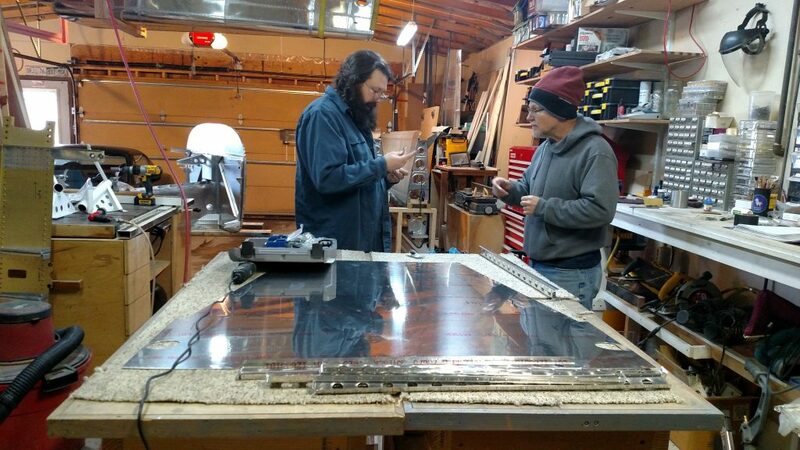 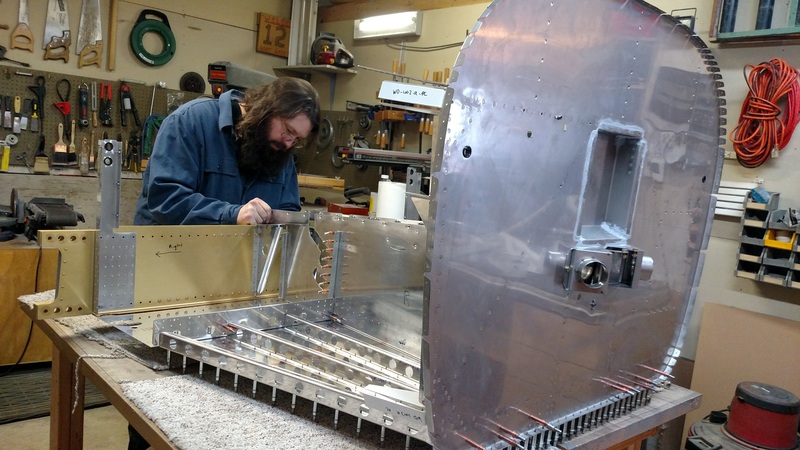 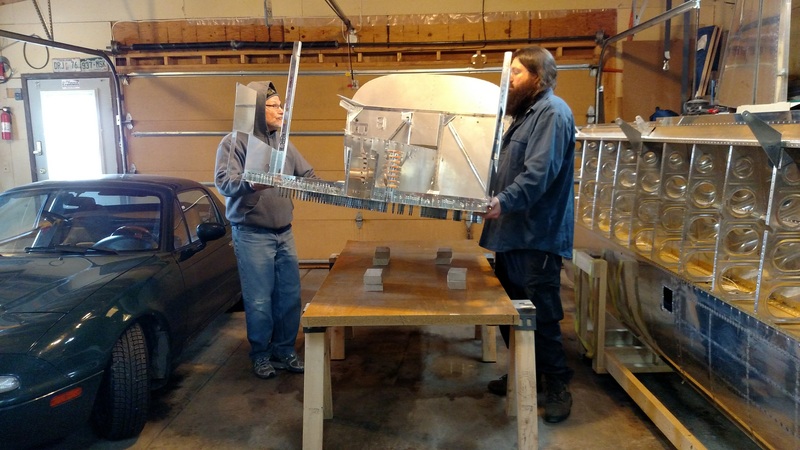 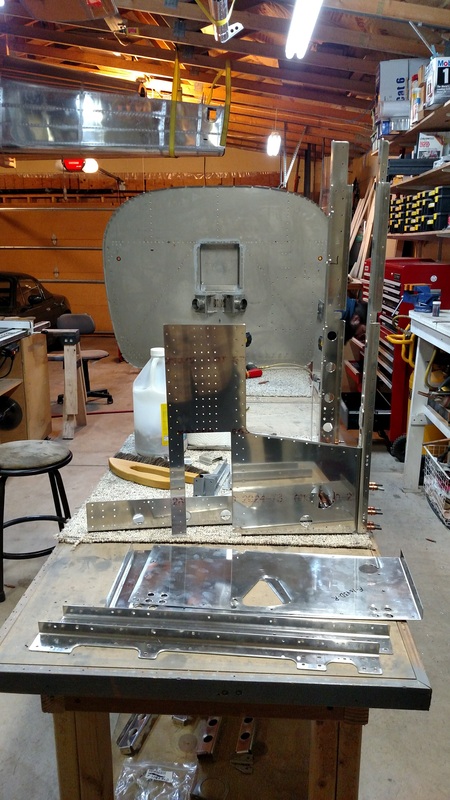 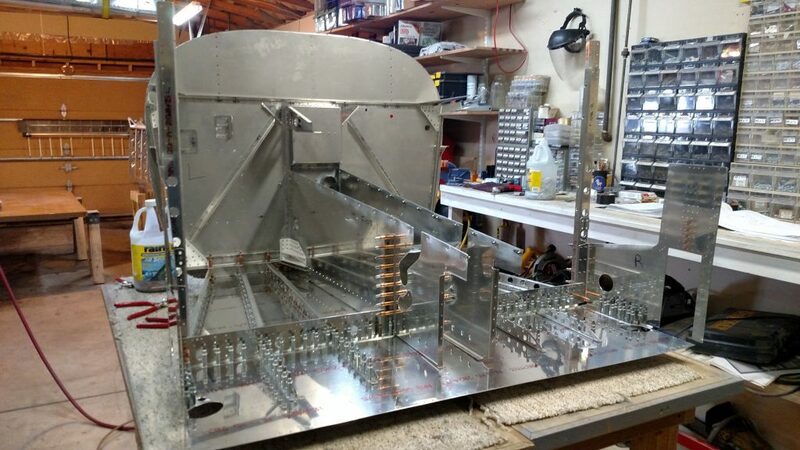 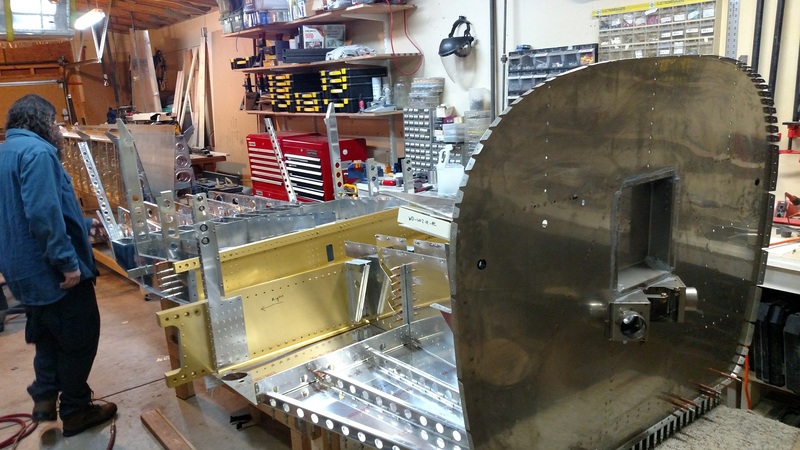 Forward fuselage assembly and drilling. 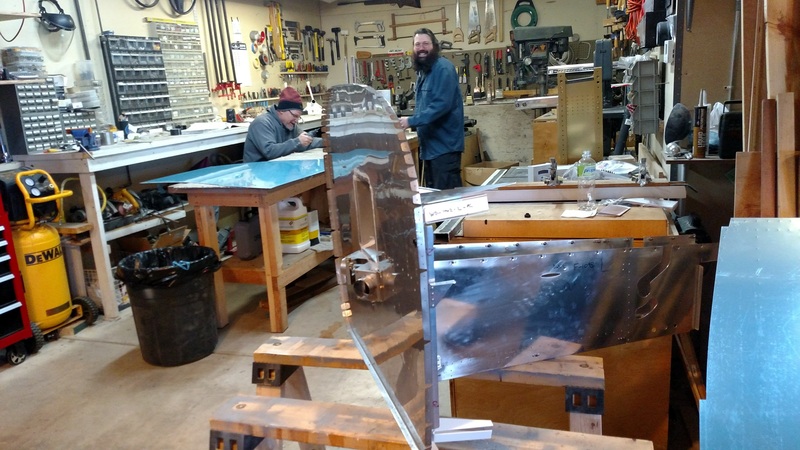 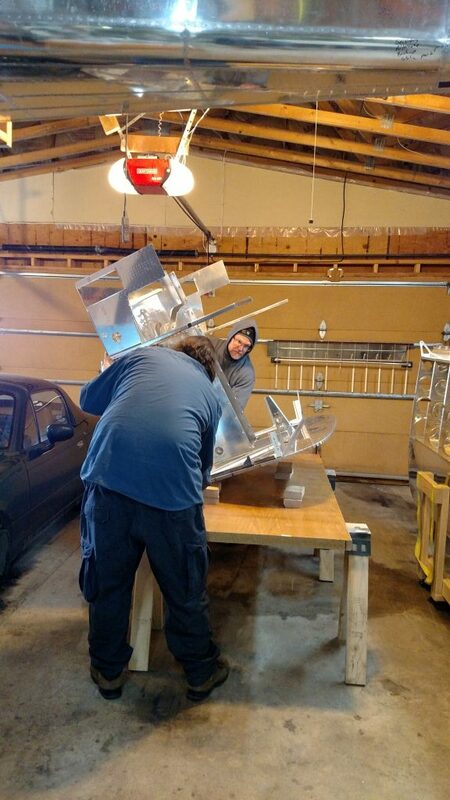 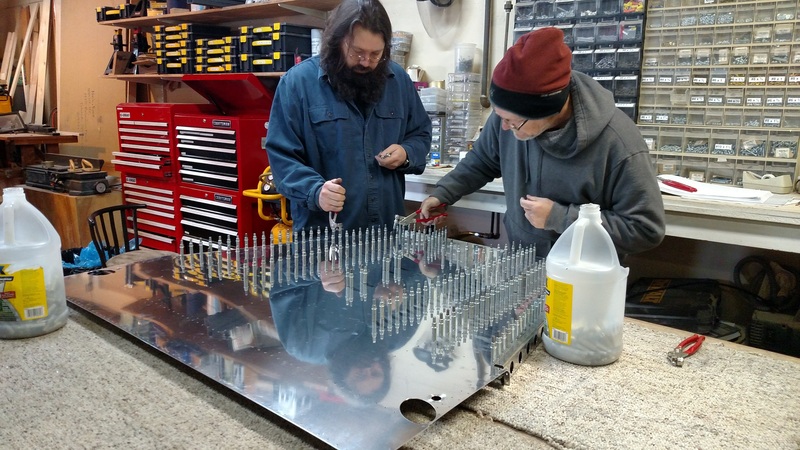 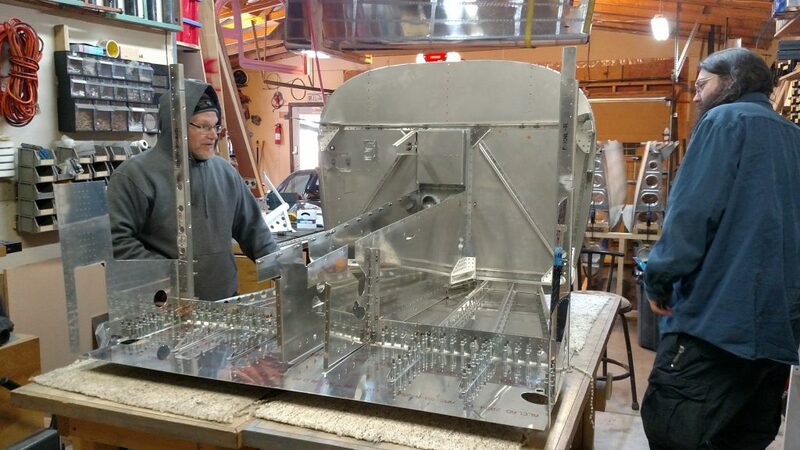 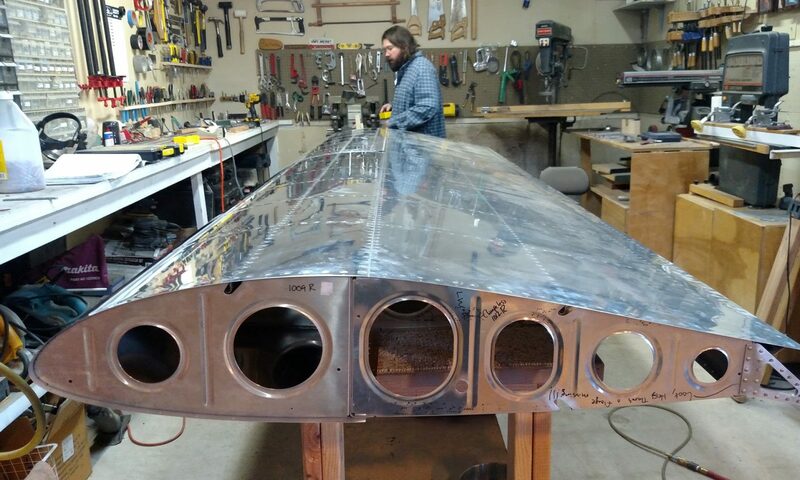 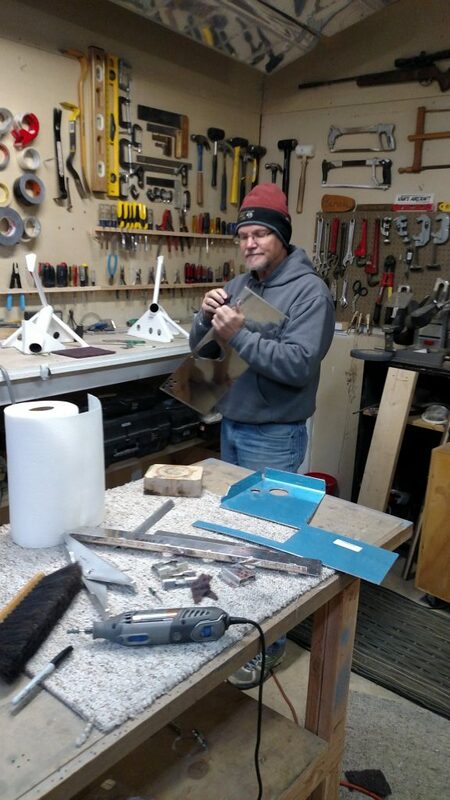 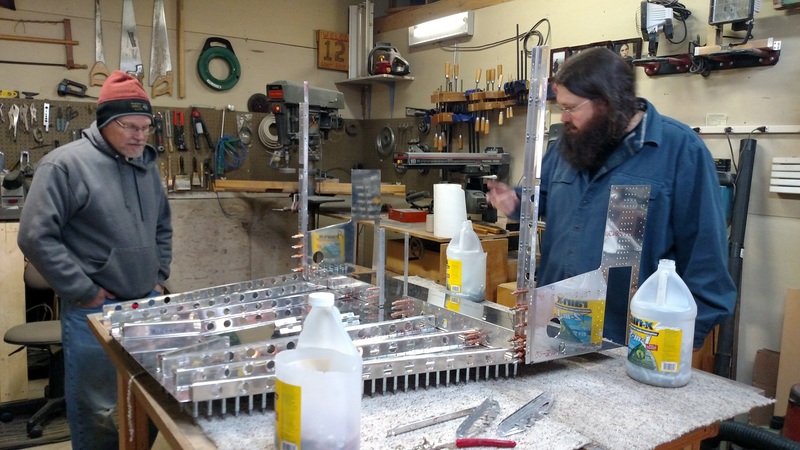 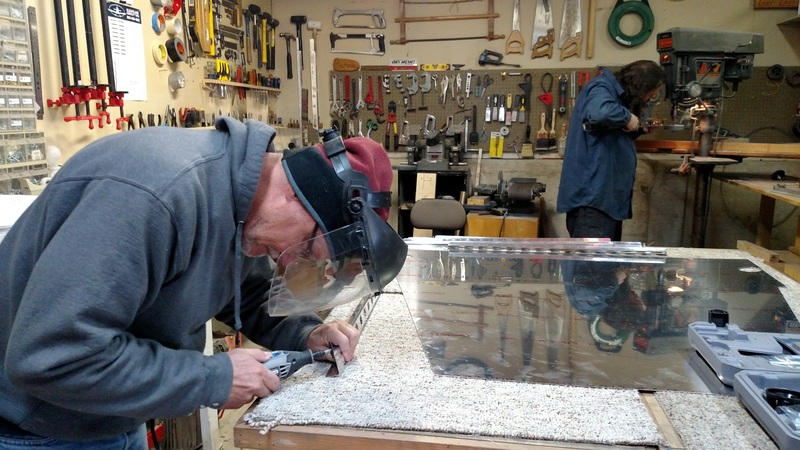 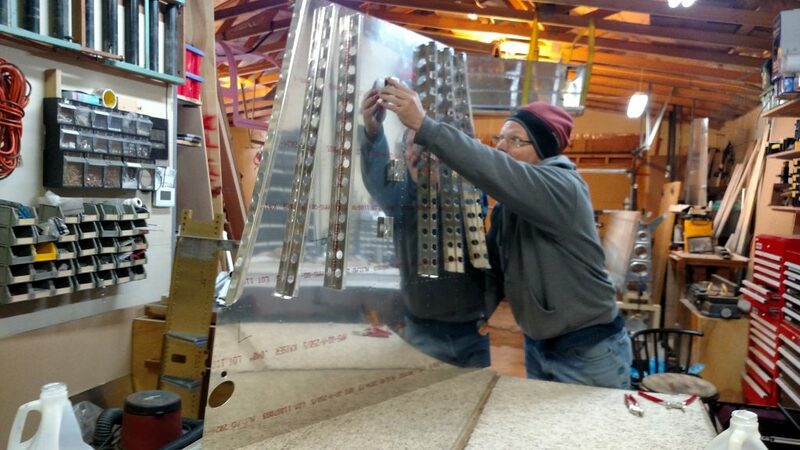 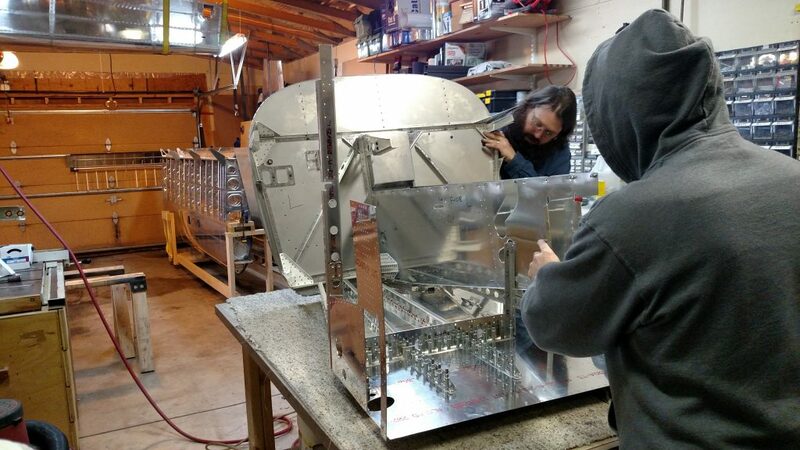 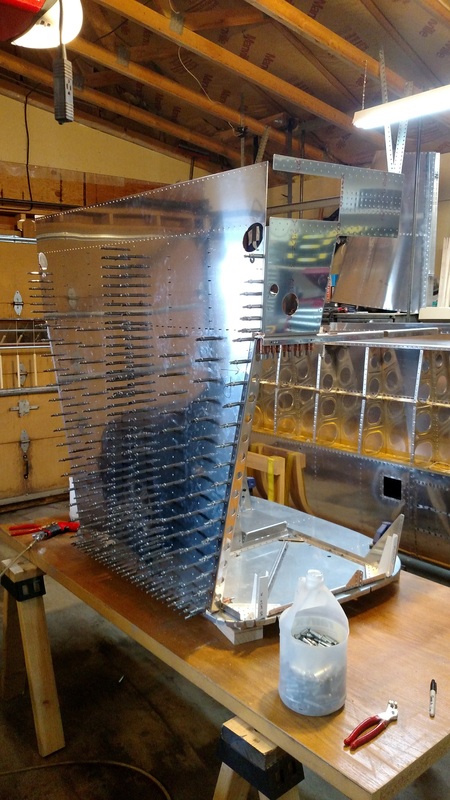 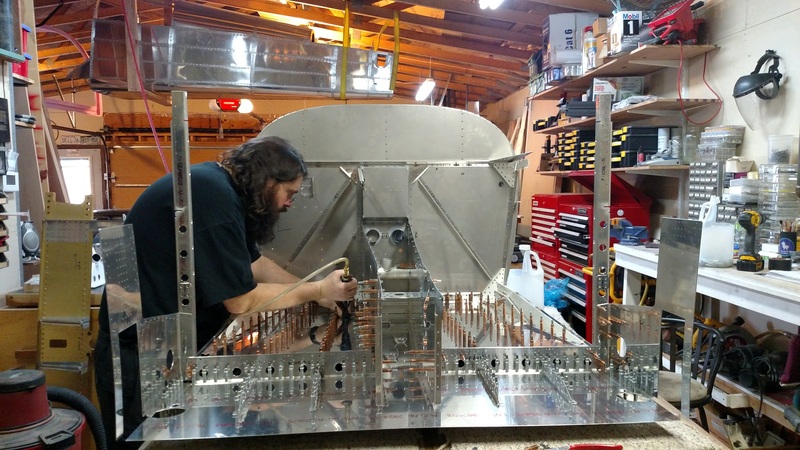 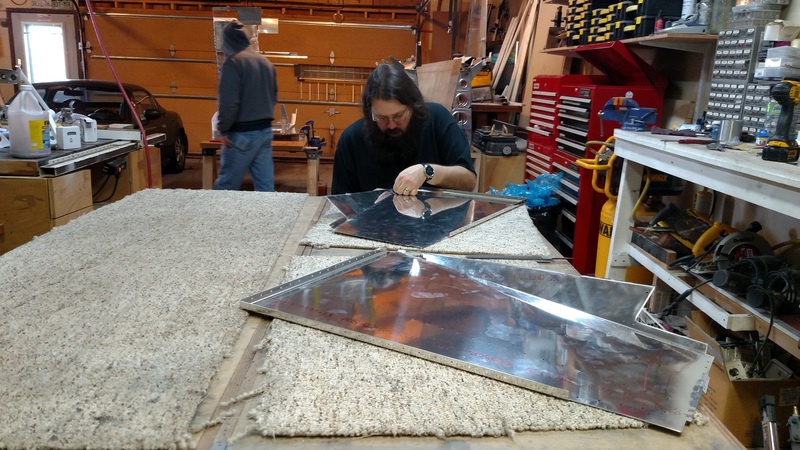 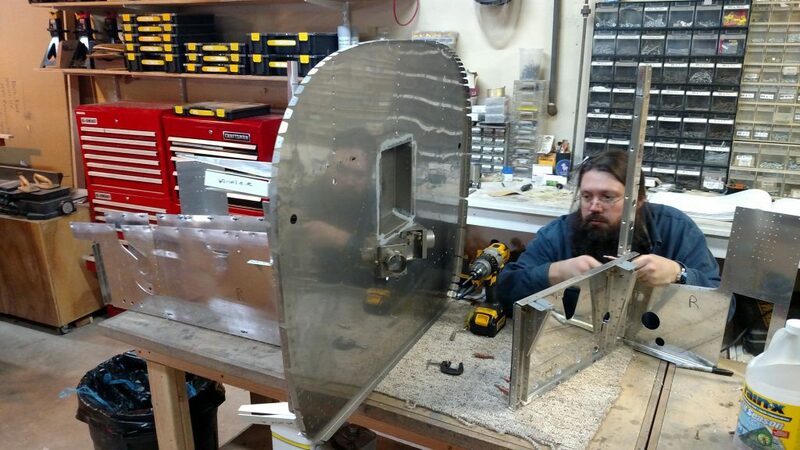 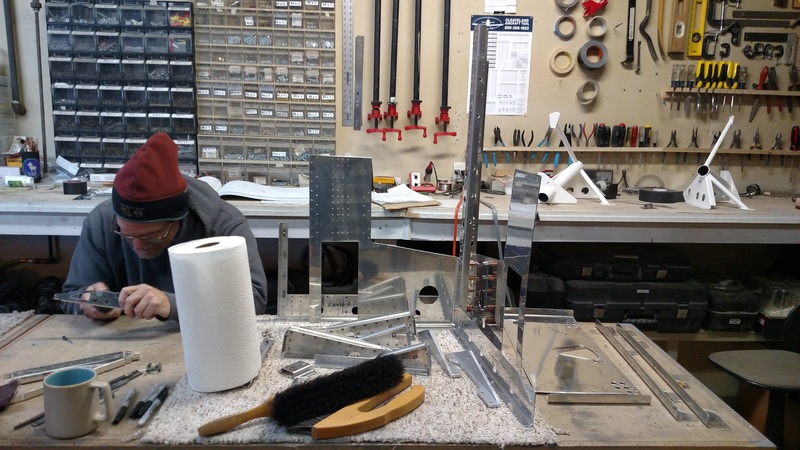 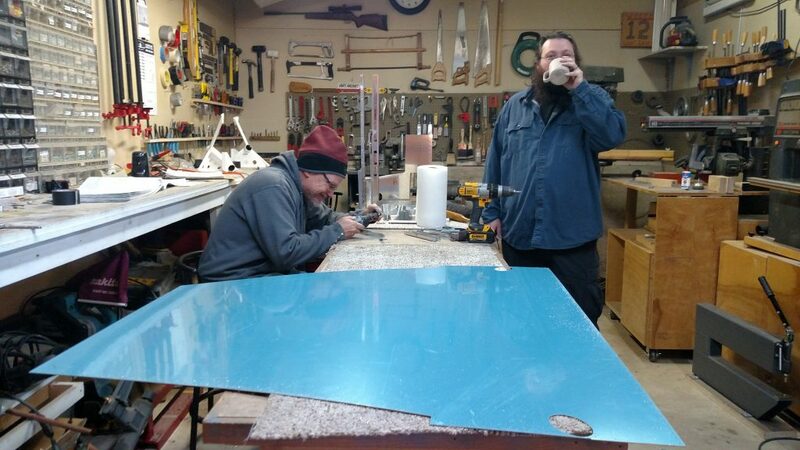 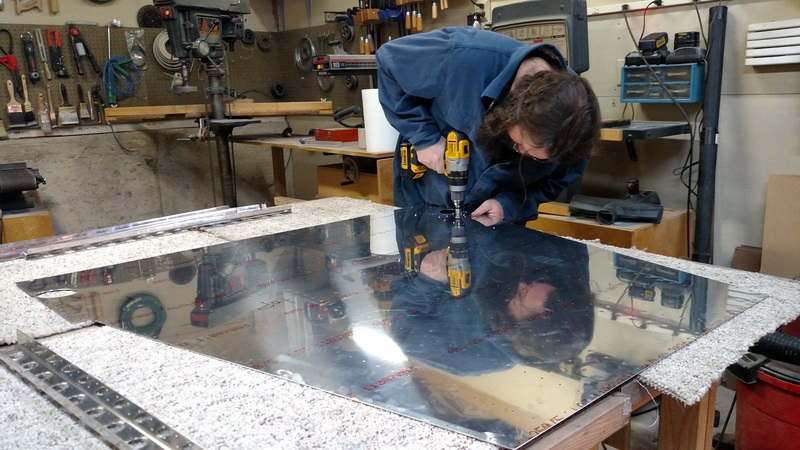 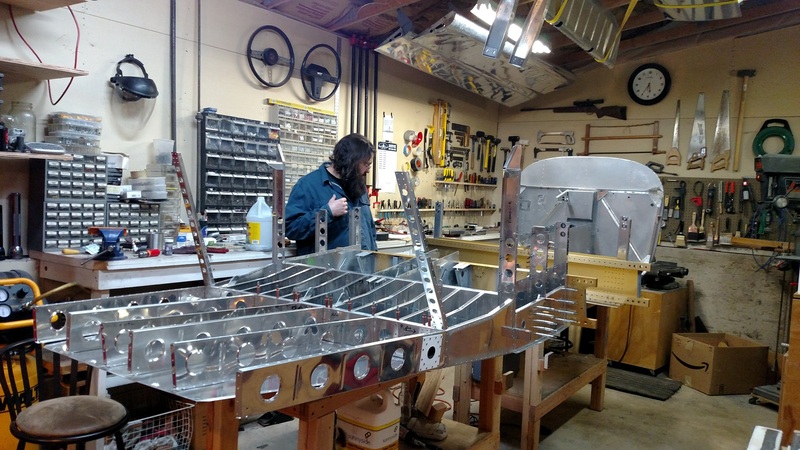 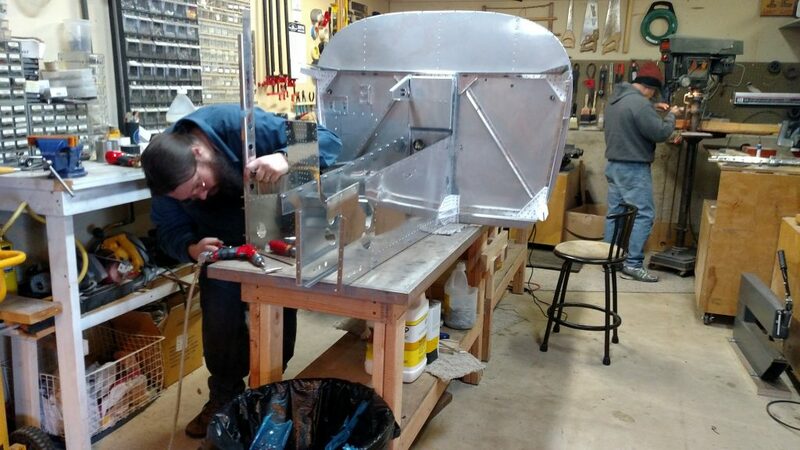 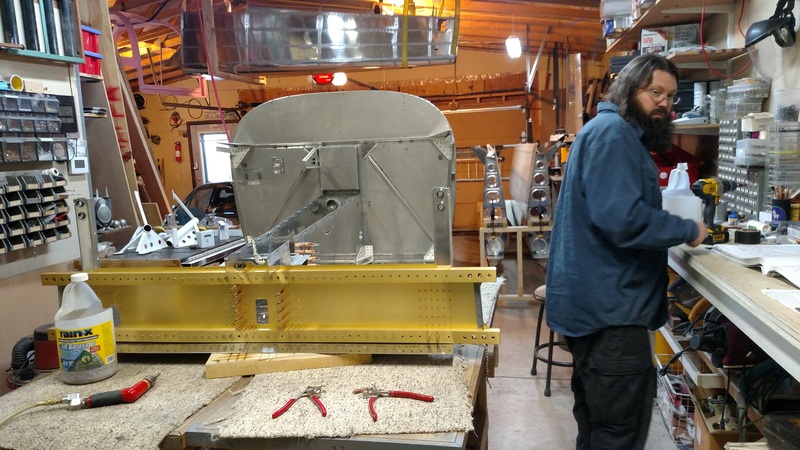 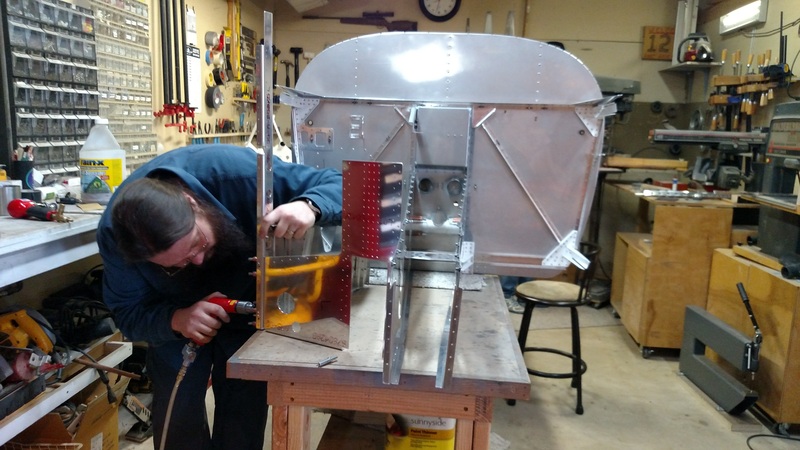 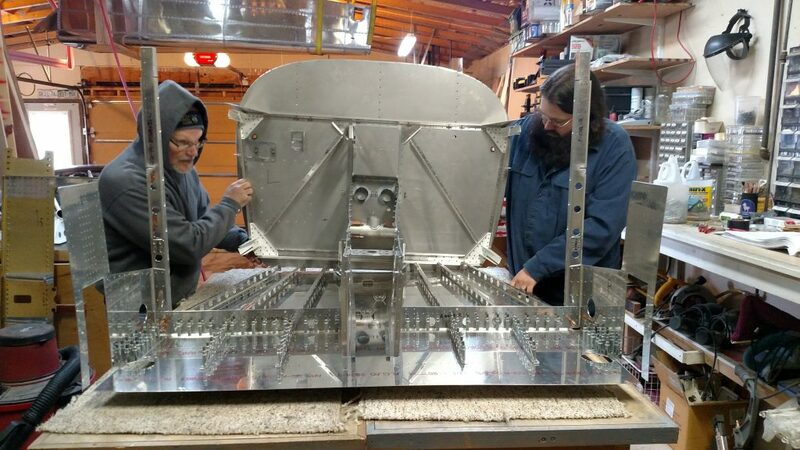 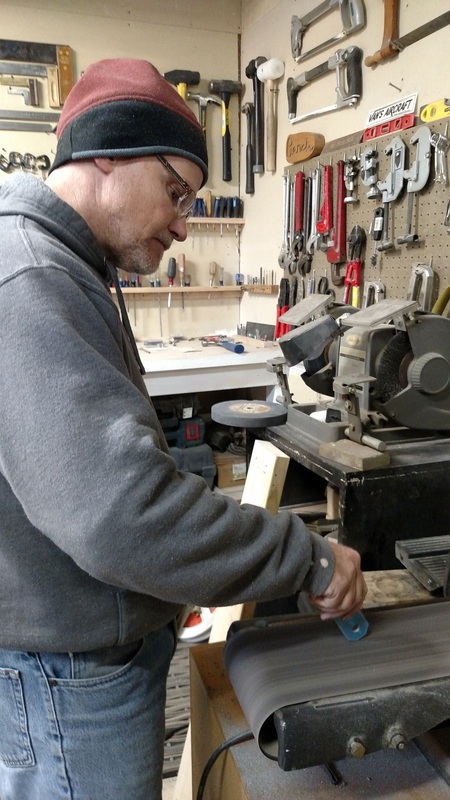 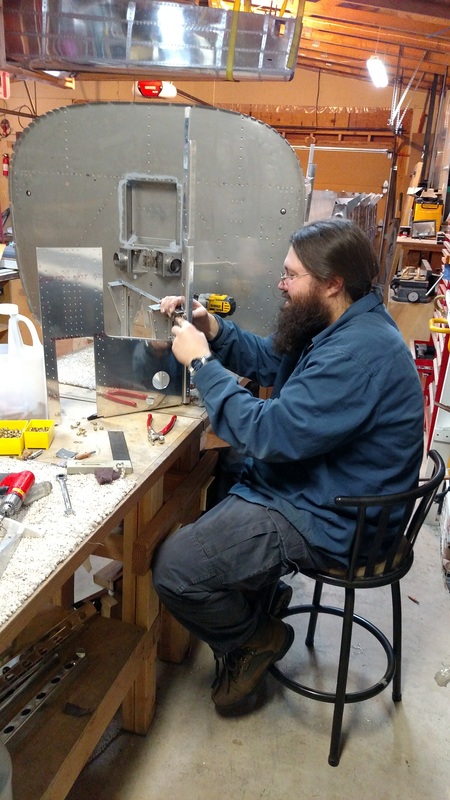 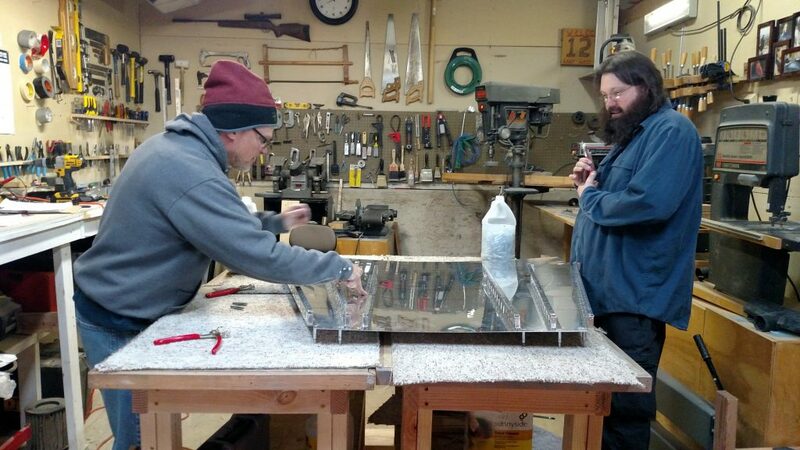 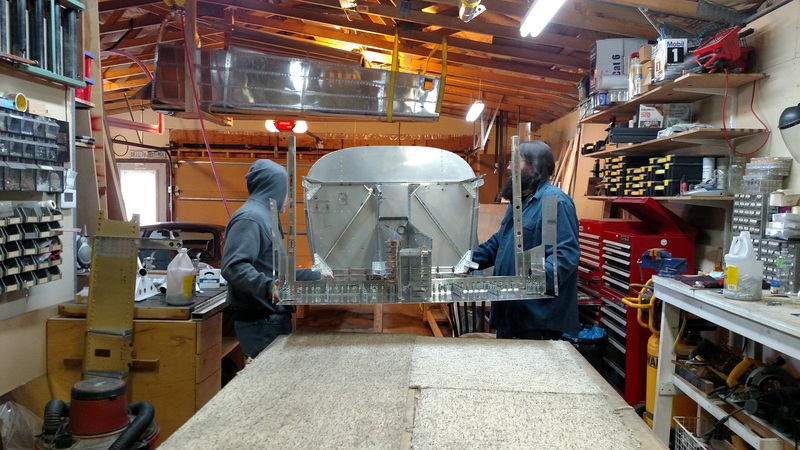 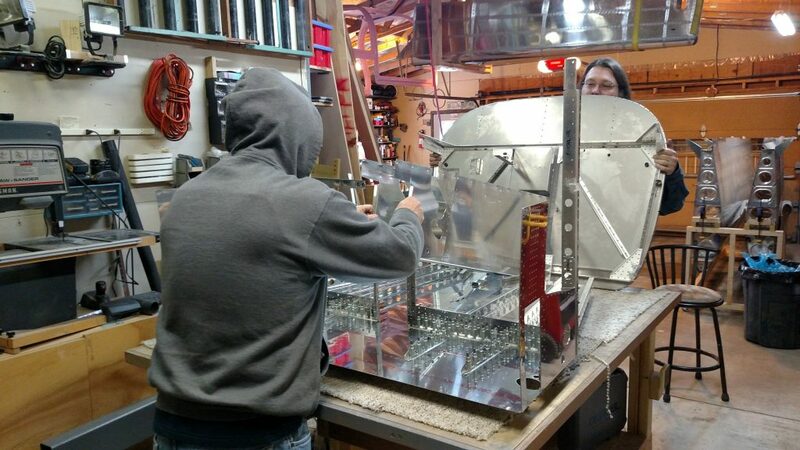 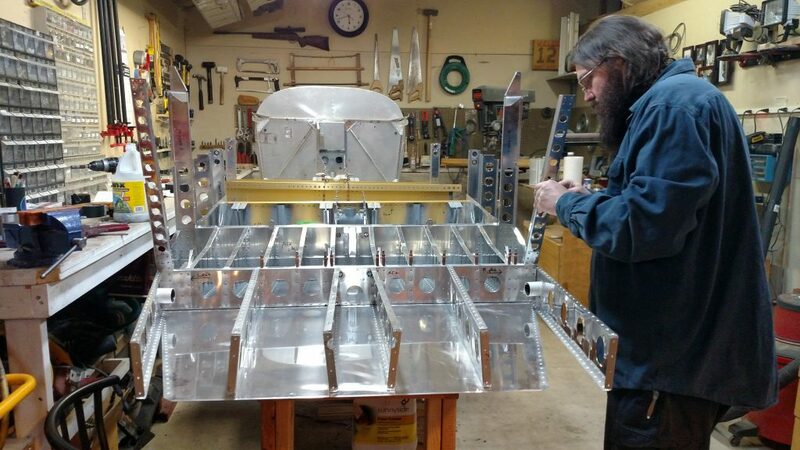 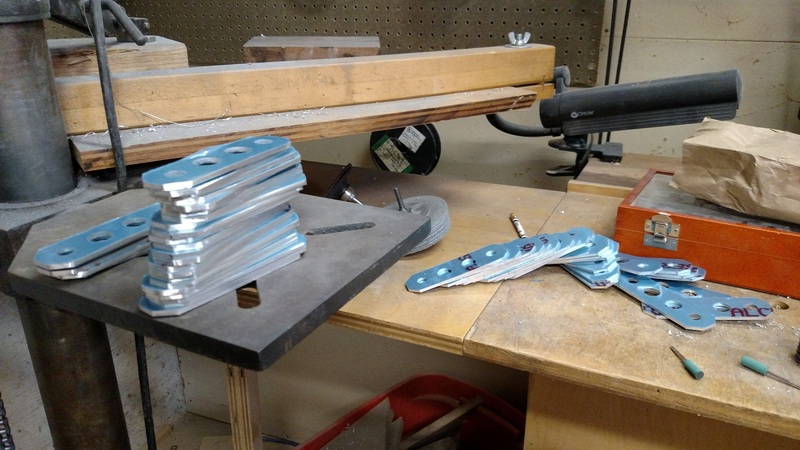 Randy started deburring the wing spar spacers, which was a total waste of time because the spacers are temporary until we install the wings. 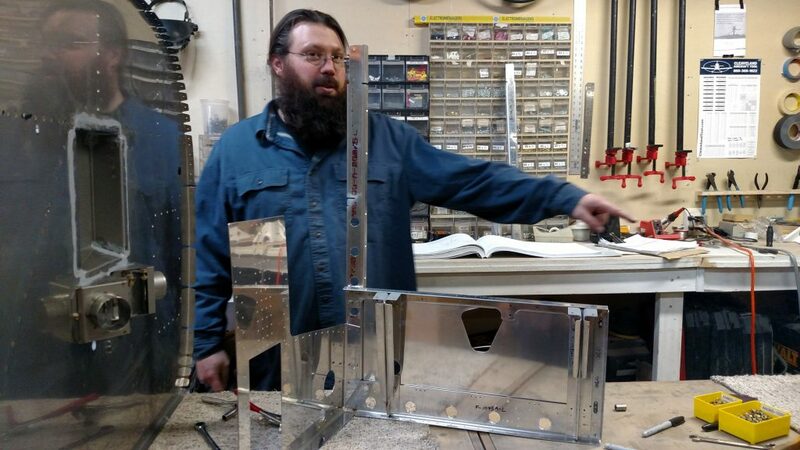 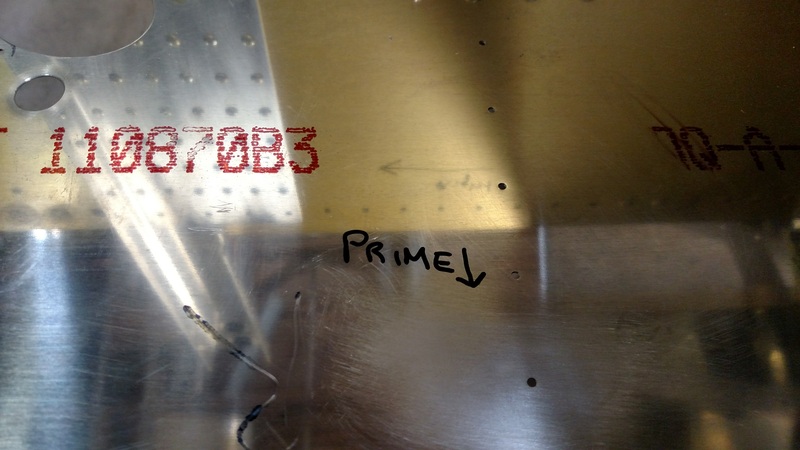 Sometimes looking ahead far enough to grab parts and debur them doesn’t work out. 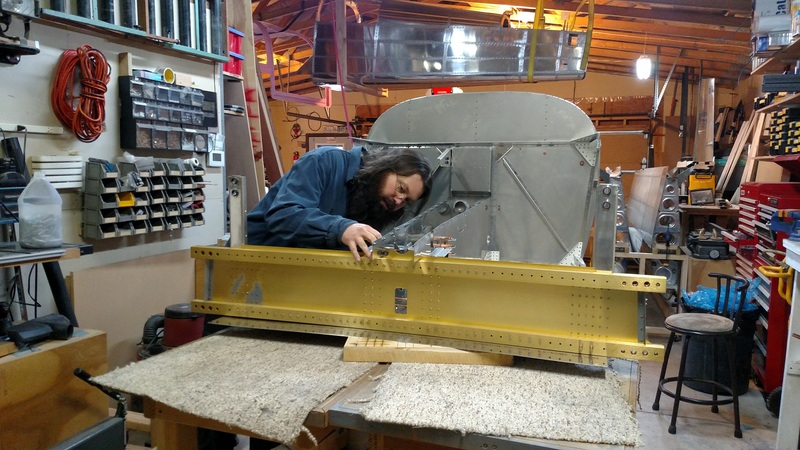 But most of the time it does.